10" x 5" x 3 1/2 " curly maple box with brass clasp, handle and hinges, and lined with decorative paper. Inside box top contains book plate or sticker that reads "A. J. Hitchcock, Conway, age 9", and photograph of elderly man. Gift of Ida Herrick (1909-1999). 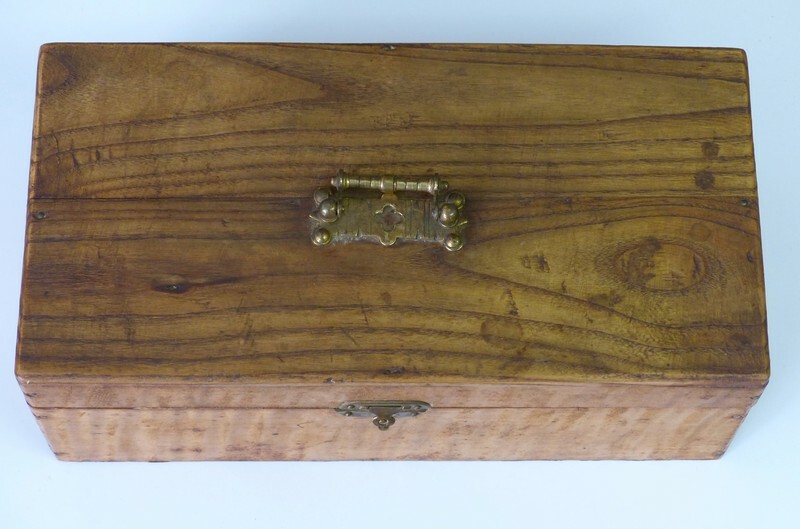 Unknown., “Curly Maple Box,” Conway Historical Society, accessed April 21, 2019, http://conwaymasshistory.org/items/show/72.